Artist Timothy C. Flood and "Stranger Reduction Zone"
The Public Art League is proud to welcome "Stranger Reduction Zone" by Timothy C. Flood (Denver, CO) to the community. 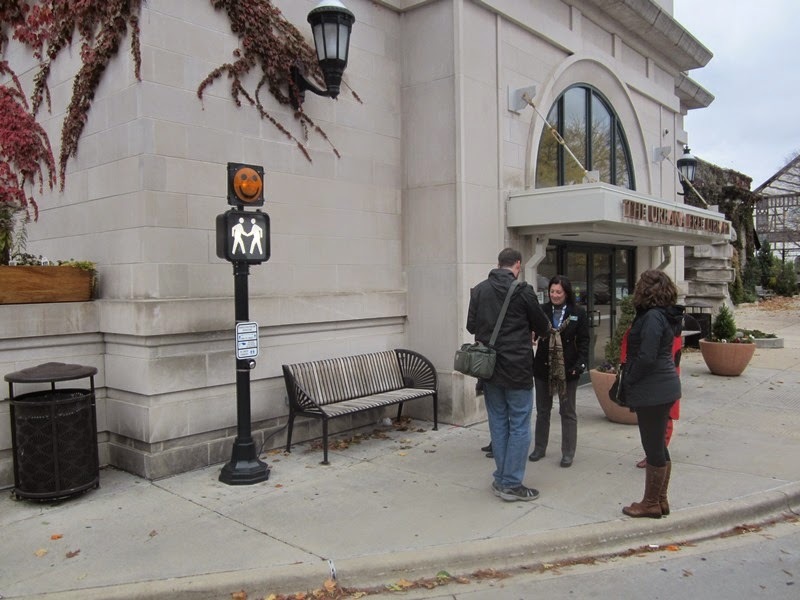 This interactive, educational and fun piece was installed by the south entrance of the Urbana Free Library...where is should receive many visitors each day. Instructions affixed to the piece encourage strangers to meet. New acquaintances can then press a button to hear greetings in a variety of languages. The artist states that "Stranger Reduction Zone is an interactive public intervention piece which aims to help individuals get to know each other better, thereby building a stronger urban community." Stranger Reduction Zone represents the 48th sculpture installed through the PAL program since 2010. 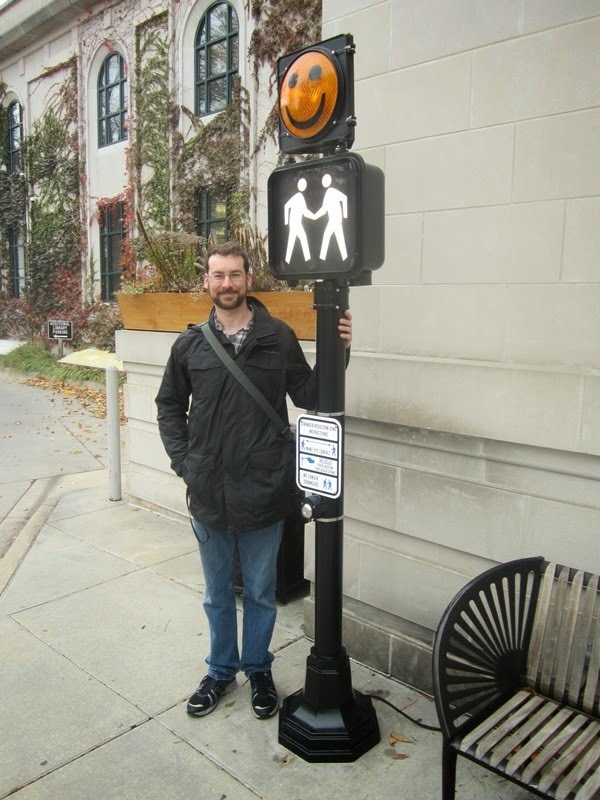 A big thank you to the City of Urbana Public Arts Commission for the sponsorship of this piece.